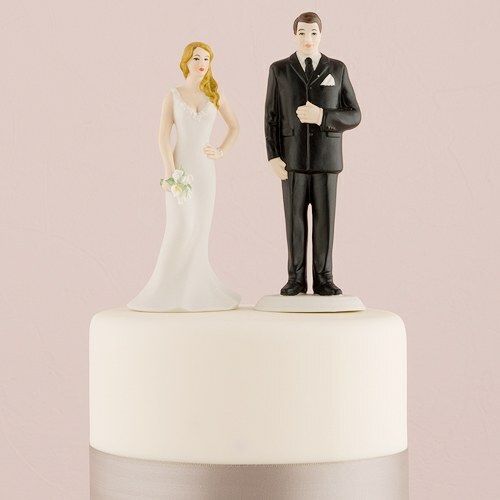 Because we come in all sizes, so do our cake toppers. 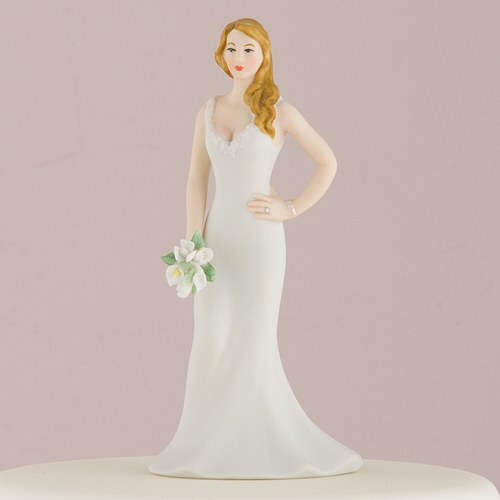 The fabulously curvy gal is all Bride and our big and tall Groom celebrates those guys that have more of a “linebacker” stature. Hand painted porcelain. 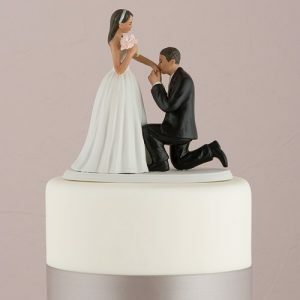 Mix and match with our other interchangeable cake toppers.Presently the Bride and Groom Cake Toppers are available with skin tones and hair colors only as shown.